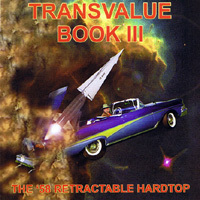 This disc is the product of a May 19, 2003 concert at the Outpost Performance Space in, you guessed it, Albuquerque. The hour long set represented on this recording is a wonderful collection of music played by a rather eclectic yet blended quartet. The instrumentation of percussion, baritone sax, electric cello, and trombone shows a clever amount of sonic unification as well as diversity. The performers aren’t afraid of the full range of their instruments (several times I thought Mr. Vlatkovich switched to trumpet) and they are able to carve out their own musical space when necessary. The electric cello doesn’t quite have the same edgy presence as the other instruments and that is used as an asset instead of a liability. Each piece contains a playful sense of freedom and structure. From the first gesture of Black Triangles, Yellow Corn, and Pink Medicine Drops through the “oom pah pah” section to the freewheeling bari solo and then the punchy trombone/sax duet that gradually pulls everyone in, etc. and so on, there is a real Zappa-esque feeling throughout the disc. We go to unexpected places within a single track but each move, no matter how drastic, sounds right. The music seems to come from a place of serenity and organicism. I’ve known a number of people who respond this way to time in New Mexico and it seem the Michael Vlatkovich Quartet has fallen under the same spell. The quartet has an excellent sense of pacing and silence. Gestures sit in space, the group breathes as a unit, and they have an excellent sound color. The opening of Blue Fragments has a spunky tune (almost cutesy) in muted trombone and electric cello while the bari sax riffs unencumbered. The opening lyrical solo by the bari sax in Every Second of Every Minute of Every Hour is sensitive and beautiful. I’m sorry I missed the concert but I’m glad to have this record of it. Jay Batzner. This is an electic mix of instruments. How often do you see electric cello jamming with a trombone or a sax? So how would this strange blend of instruments work? 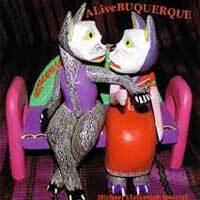 ‘ALiveBUQUERQUE’ is an almost hour long album made up of five creative tracks where the music goes off on interesting journeys. One track is over 17 minutes in length! The long cuts allow the band to explore unusual instrumental combinations and they play with and off each other. Instrumentally taxed might describe the way the players jam. At times soft and slow, and then fast and frenzied, and everything in between. Check out “Every Second of Every Minute of Every Hour” (17:36) and maybe you’ll get an idea. I was surprised at how relevant and good the music got. It wasn’t disjointed or too ‘way out.’ I enjoyed the musicianship and appreciated the unique instruments and their interplay. As I said, a clearly eclectic mix that really worked out fine. Check it out. Journeyman West Coast composer and trombonist Michael Vlatkovich, who over the course of his 20-year career has always been—in the words of help wanted ads—a self-starter, has been particularly busy of late. These two issues (one on his own label Thankyou Records) are the second and third from Vlatkovich’s hand that I’ve reviewed in the past month. 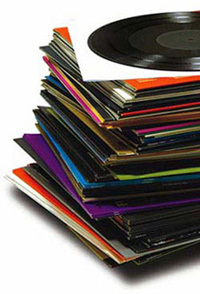 All—the other was a trio date on Origin—clearly are the work of the same, fertile musical mind. Yet each demonstrates how flexible Vlatkovich’s muse is. Parlor Games is a showcase for his compositions. Like his trombone playing, they demonstrate a concern with timbre as well as a stylistic reach that extends from free blowouts to peppy show tunes. The core vocabulary, though, is a kind of modern romanticism, full of evocative turns of phrase and rich harmonies. 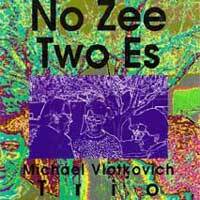 Even on “Were the Dogs Drinking Water or Was It Roller Skating?” (Vlatkovich has a knack for titles that are at once odd and poetic, yet comic), delivered by a four-piece band, he elicits a vibrant range of colors, using a variety of mutes on his trombone. And on Warren Hartman’s “The Kissing Song”, one wonders why more singer-songwriters don’t employ a percussion and trombone backup band. 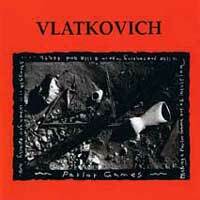 On most tracks Vlatkovich uses an ensemble of six to eight pieces. These pieces are compositions, not tunes intended to bookend a round of solos. 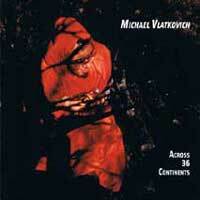 Vlatkovich is adept at nurturing kernels of melody into fully bloomed compositions. On “Bye Bye ‘D’ Train”, the piece opens with a simple two-note declaration that’s followed by a related four-note lick. The entire eleven and a half minute fantasy grows from those six notes, eventually getting worked into a mariachi fanfare theme. The composer is well served here by soloists Vinny Golia, a regular collaborator, on baritone saxophone, and bassist Dominic Genova as they keep threading those notes through their improvisations. 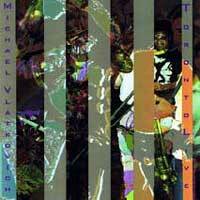 As the solos drift into collective improvisations those themes continue to be reiterated. The opening “Angeles National Forest” is an atmospheric sound painting. Again Vlatkovich uses a simple rhythmic birdcall of a theme, here setting it against a ground fog of long tones from cello and contra-alto clarinet. The composer calls out “wa-wa!” from the underbrush. The piece builds to an ominous climax. That contra-alto clarinet, played expertly by David Riddles, adds a basso luster to several tracks. Its velvety texture enriches the ensemble’s bottom. That’s especially evident on the cinematic “Why Don’t You See Me”, which opens up with a detective show theme, followed by the evoking of a creaky merry-go-round, finally giving way to a free-form chase scene. 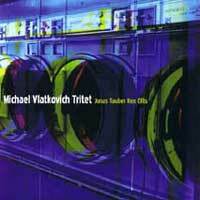 Michael Vlatkovich refers to his three-piece ensemble as a “tritet,” maybe, I assume, to avoid the inevitable comparisons to all those other horn plus bass and drum trios. It’s easy to see why. While that standard trio is typically used because of the openended freedom it allows, Vlatkovich’s vision is more orchestral. True, the melodic material that bookend the performances tends to be little more than fanfares. But these simple melodic declarations then get symphonic treatment. Employing an arsenal of mutes the leader evokes an entire wind section while Jonas Tauber’s bass saws away with the vitality of a full string section. His arco solo (he favors arco work throughout) on “The Daily Parade…” has the intricacy of a classical etude but never fails to swing. 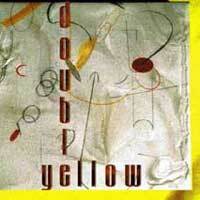 Ken Ollis on drums complements this with symphonic rumbles, rolls, splashes and crashes. 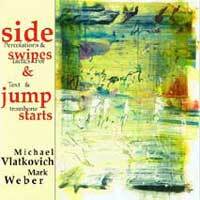 Right out of the gate on “Our costumes…” Vlatkovich sounds the charge bouncing out a bugle call-like figure. Leading into his solo, he simplifies it at first, exploring its implications with Tauber’s bowing out with a counterpoint that rises to restate the opening motif and set the tone for his own solo. His improvisation evolves into a rapid, repeated figure backed by Ollis’ brushes over which Vlatkovich wah-wahs away. A drum solo that starts with brushes but ends with a cadence played with sticks that marches the track on to its conclusion. A couple of the pieces on Parlor Games use bits of poetry. 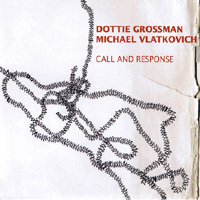 Call and Response is a full-blown poet-musician collaboration between Vlatkovich and Dottie Grossman. “Full-blown”, though, seems not quite the precise word for this intimate session. The structure is simple: Grossman reads a short poem, or two or three related poems, and then Vlatkovich responds on unaccompanied trombone. This only works if both parties are at their best—and they are. She doesn’t feel the need to point out that those rocks are smooth precisely from years and years of having the river wash over them. 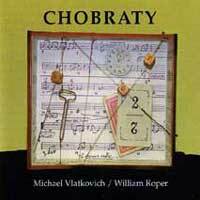 Such are the subtleties of her verse, echoed by Vlatkovich’s vivid statements, and taken together, a rare, deeply entertaining recital.